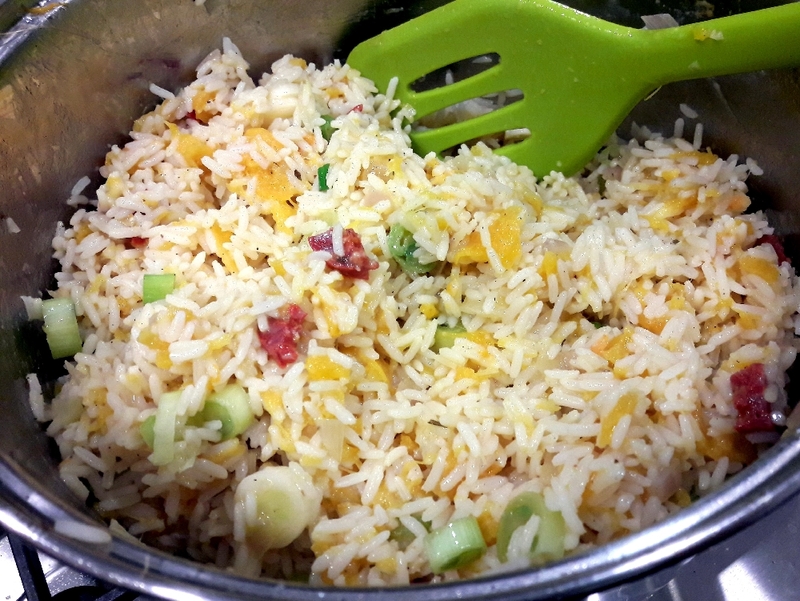 I also made this lovely pumpkin rice recipe this Halloween weekend. The other recipe was this Thai pumpkin soup, in case you missed it. This pumpkin risotto was a great crowd pleaser, I definitely have pumpkin recipe options now. Cook the rice separately and set aside. Chop the pumpkin into small pieces and bake for 20 minutes until fork tender. 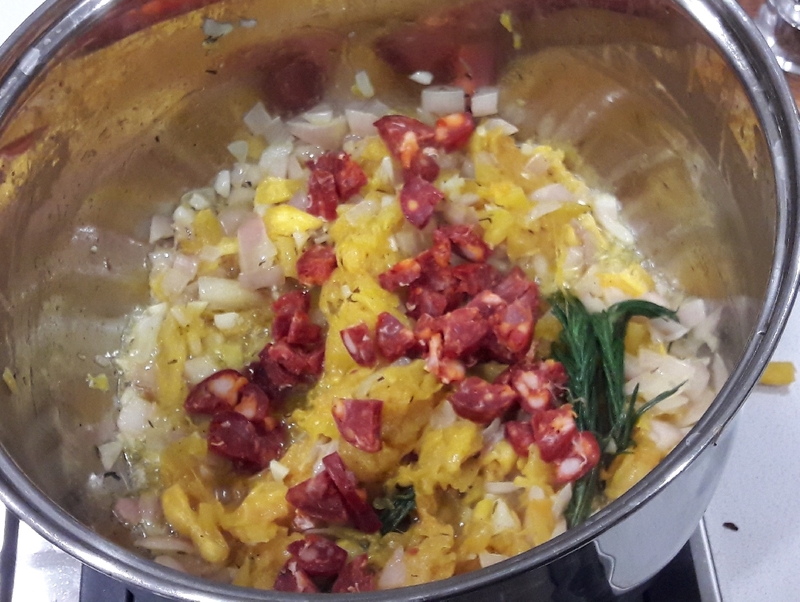 In the meantime chop the onion, garlic, chorizo and spring onions. Start the stirfry by placing butter or oil and onion in a pan at medium heat. Add sage or curry plant. After 3 minutes add the garlic and stirfry until fragrant. Then add the cooked pumpkin, tarragon, chorizo and freshly grated nutmeg and stirfry for a few minutes. Add the cooked rice, water, coconut milk. Stirfry gently and add salt and pepper to desired consistency for a further 10 minutes or so. Add the spring onions before switching off the heat. Remove the curry plant or sage leaves before serving and dress with fresh coriander.